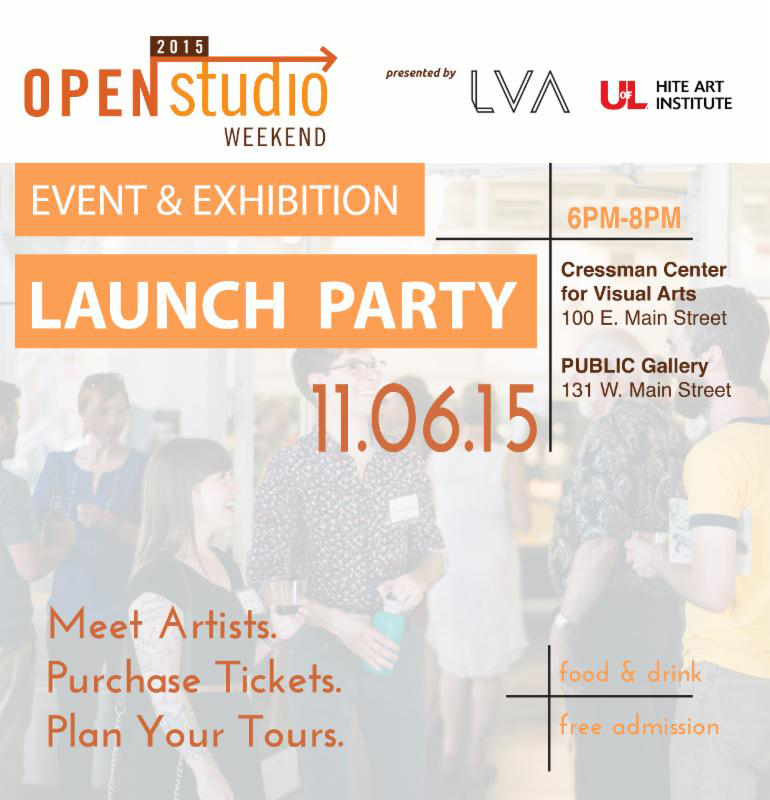 Join me this Friday, November 6th from 6pm-8pm at the Event & Exhibition Launch Party for Open Studio Weekend 2015! Participating artists will have work at the Cressman Center for Visual Arts located at 100 E. Main AND at PUBLIC Gallery located at 131 W. Main in Louisville, KY. These galleries are super close and located cater-corner from one another. This event is present by Louisville Visual Art and UofL’s Hite Art Institute. Support local artists in Louisville today!